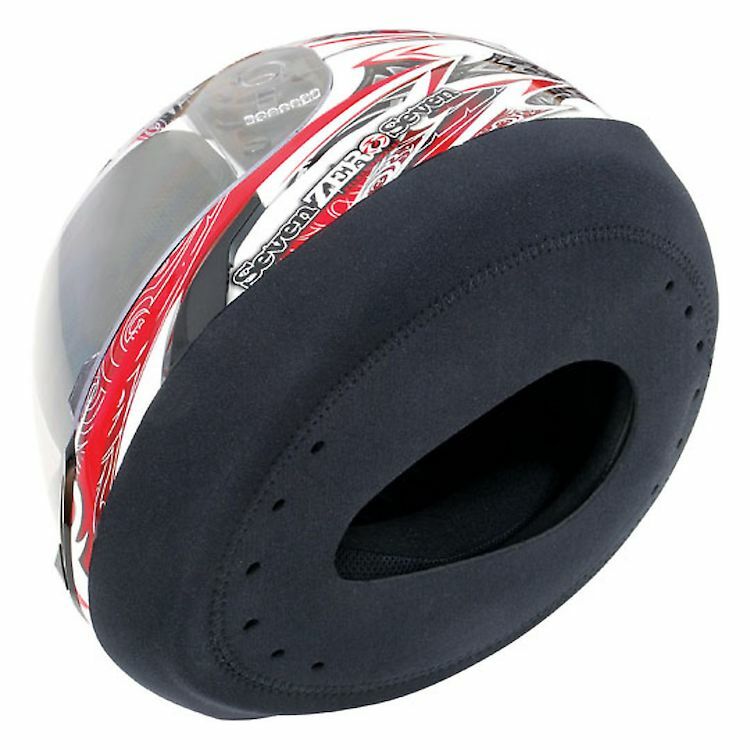 Ride in comfort year round with the wind stopper helmet skirt from Speedmetal. Designed to reduce wind noise, it also keeps out the cold, allowing you to ride longer in the winter months. I was excited to try this as id rather not always wear a scarf but....it tore slightly during install just part of tbe rear seam but i figured it would hold up. Took it out on my lunch break and it was definitely quieter and comfortable. I could still hear some muted wind, I always wear plugs; however, it didn't quite live up to my expectations. Once i took it on the highway though, it fell off and was flopping on my neck. Works well when install properly and very very very gently. The item works perfectly as described. However, I ruin 2 of them before I can mount a perfect one onto the Bell Bullitt helmet. They are not design to be taken on and off more than a couple of times (more like once), it will rip on you within a month of use, but it is only $14, look at it as a cost of doing business, how else can you ride at 20-30 degrees out in the Northeast. ripped at the seam the first time i tried (gently) to put it on. read the other review before I put it on, so I was extra careful. schuberth s2, large. tore right at the seam with only minimal force. I call manufacturing defect or just really bad/cheap design. I just tried putting this on my XL Shoei RF1200 and it ripped in two places. If this was more durable, it would be exactly what I was looking for, but unfortunately it's not. Maybe if it was going onto a small helmet, it'd be fine. thought it would help keep noise down and cold air out on my Schuberth S2. tore as soon as I put it on. Does this fit onto any helmet? BEST ANSWER: Yes and no, the smaller the helmet the better. Now will it stay on? Probably not. Does this actually work for noise?